French fries are good. Loaded fries are better. Add buffalo sauce? You can’t beat it. Buffalo Chicken Potato Wedges. My mouth is already watering. Make it a meal or make it to share (a decision you might end up regretting). This recipe is extremely easy to whip together, and I enjoyed it all to myself last night while watching the Academy Awards. Ah, yes. I watched all the beautiful men and women walk the red carpet while I ate my body weight in snacks and promised myself that I’d hit the gym extra hard for the rest of the week. But really…I love award shows, and there were some ahhh-mazing looks last night. Can we talk about Lupita Nyong’­o – she has been killing it in the fashion department­ and she won – and my girl Jennifer Lawrence – falls (again) and looks flawless (again). 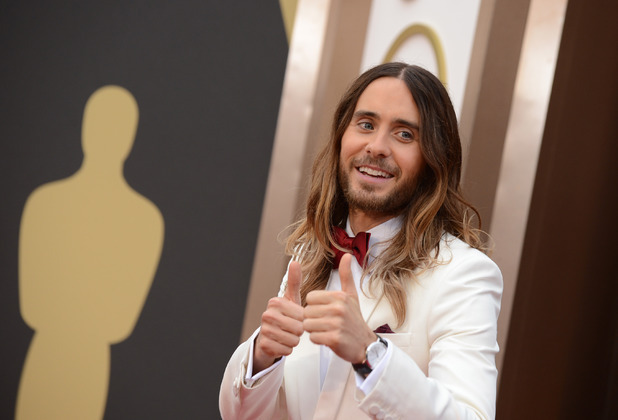 And I have to give a shout out to Jared Leto (who not only now has an Oscar, but hair that every girl is envious of). While you’re eating these delicious (and for lack of a better word) french fries, let’s chat. What did you think of this year’s show (fashion, results, and everything in between)?